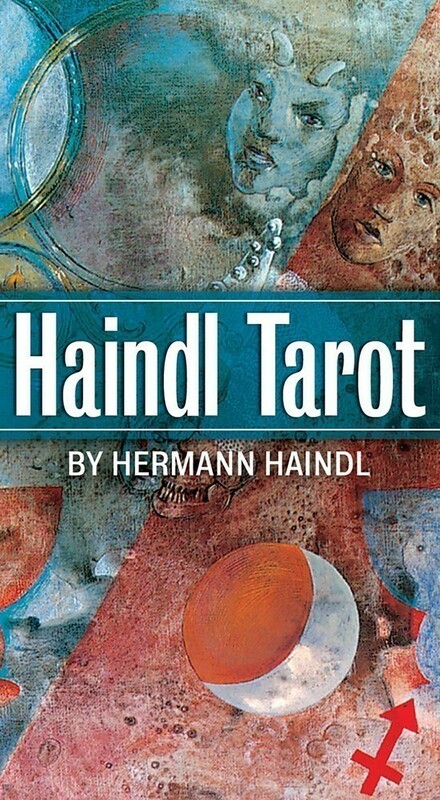 Haindl draws upon his knowledge of ancient cultures and his experiences with Native American life to create a unique deck that is a colorful and penetrating study of nature and spirituality. The Haindl Tarot deck relates the spiritual traditions of many cultures to human experiences and to the sacred wonder of our Earth. The captivating artwork of Haindl Tarot is non-traditional, yet the deck does follow the structure and meanings of the Rider-Waite deck for the most part, with some references to the Thoth Tarot. Each Major Arcana card shows kabbalistic, runic, and astrological associations. In the Minor Arcana each court card is represented by a god or goddess. The four suits are Wands -- Hindu; Cups -- Celtic and Norse; Swords -- Ancient Egyptian; and Stones -- Native American. 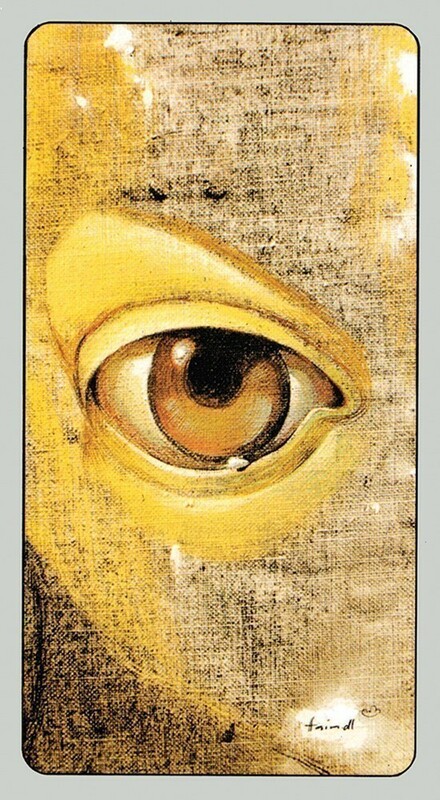 The Haindl Tarot draws people in by the rare quality of its art. A painter who devoted his life to his work, Hermann Haindl brought to his pictures a skill and sophistication rare in modern Tarot decks. Drawn in by the unusual beauty of the cards, people who became familiar with the cards and learned how to use them discovered something more profound: a way of living dedicated to the sacred wonder of the Earth. 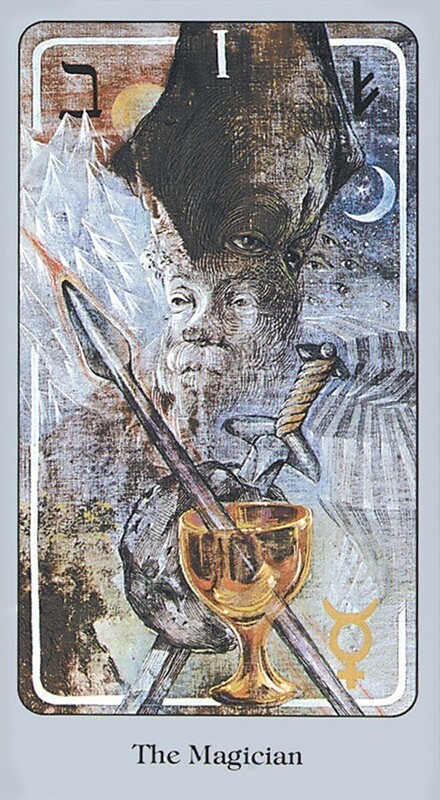 The Haindl Tarot draws on the spiritual traditions of many cultures. By itself, this in not unique, as quite a few contemporary decks feature art from different cultures and mythologies. 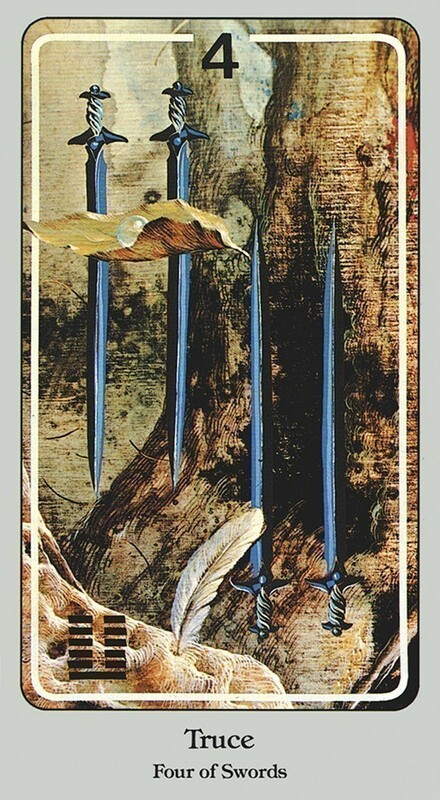 The Haindl Tarot, however, connects these traditions to real experience. These seventy-eight paintings reflect Haindl’s devotion to nature, his recognition of the feminine, his travels, his encounters with holy teachers and spirits, his respect for all peoples, his political belief in responsibility for the past and future, and the crises that have shaped his understanding. Drawn to the cards by their unique art, many thousands of people have found their lives changed, sometimes quite dramatically. Cards measure 2.75" x 5"
The Haindl Tarot for me comes across as a very mystical, shamanic type deck. 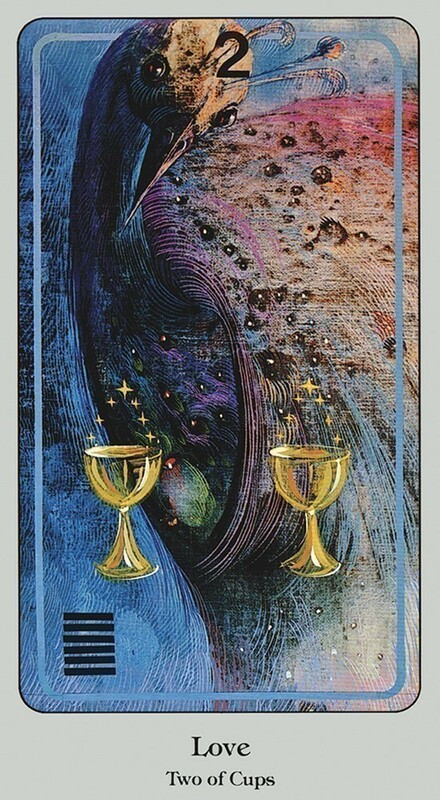 Each time you work with a card, you will see another level of richness, another "something" that you did not see or feel before. 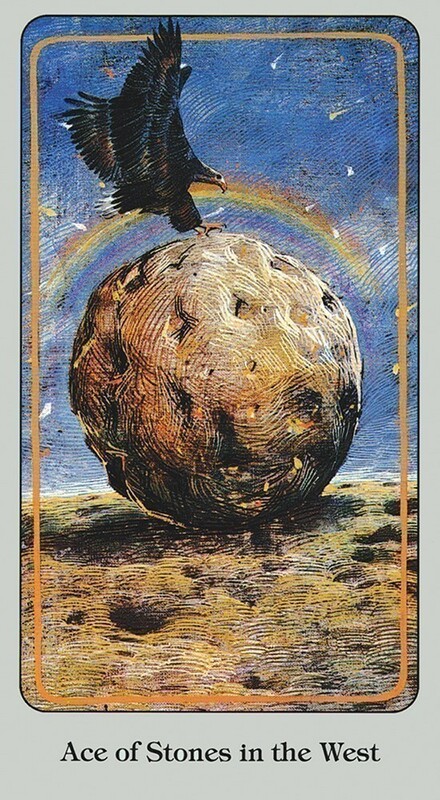 It is the shamanic quality that I see in this deck that brings across its message for me. The spiritual traditions of many cultures and mythologies are represented here. There is also a deep respect for the feminine, and a sense of respect for and connection to nature. Haindl did this deck in a very special manner -- one that I have not seen done before. He took his own paintings, picking out a part of the painting that represented the energy of the card that he was working with, and overlaid the suits and symbols. The result is stunning in its depth, but it can be taken one step further. 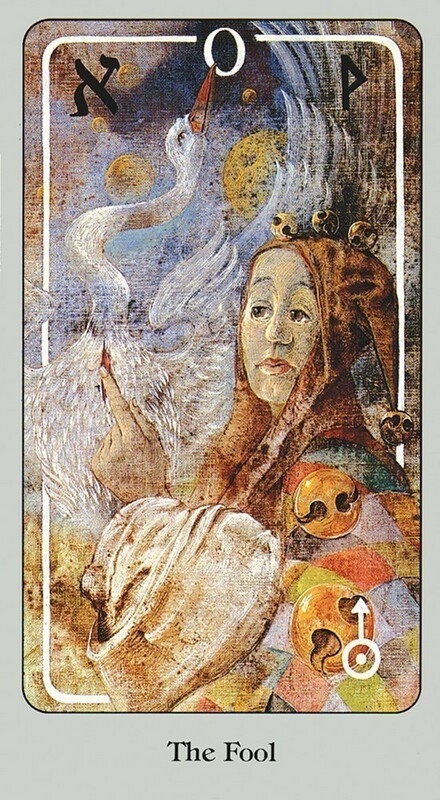 Because Haindl used only portions of a painting, he could use a single painting multiple times, with the underlying artwork acting as a bridge to connect the cards. 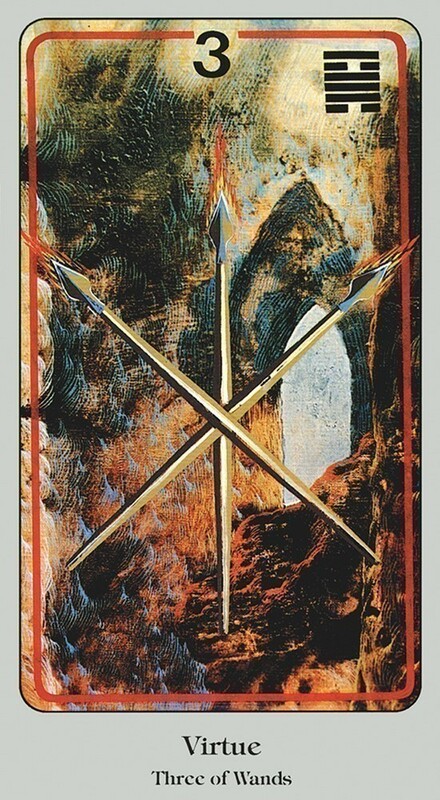 I highly recommend it to those with at least a minimal Tarot background, those who want to use it for meditation, spiritual growth, ritual, ceremony or personal readings. And yes -- this would be a deck that a collector would want to have! I've used the Haindl Tarot for years and recently performed over 33 readings at the San Francisco Whole Life Expo using the Haindl Tarot. This deck gives the querent a great deal of answers pertaining to influences around the question. The cards are beautiful, watercolor like, dreamy, and yet powerful in their images. The inclusion of American Indian, Hindu, European and Egyptian influences give the reader the ability to connect with ancient energies. I love reading with this deck and it is one the highly prized decks that I use professionally.